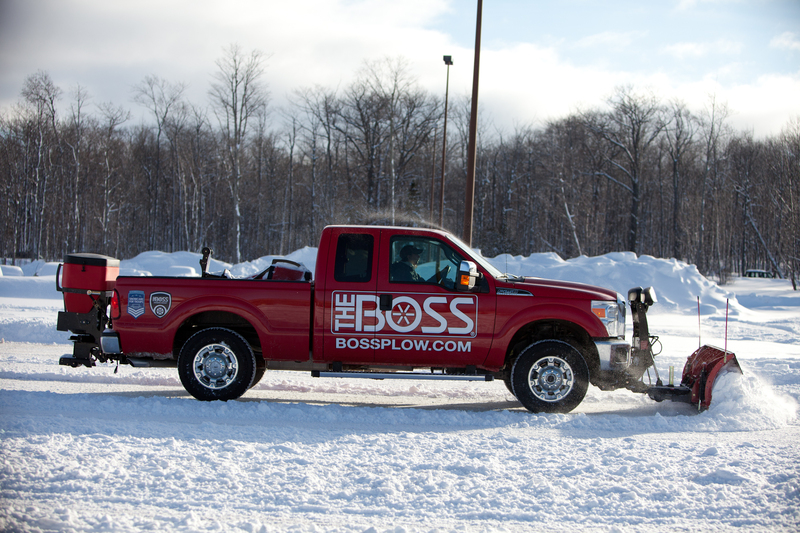 BOSS is one of the top snow equipment manufacturers. They make snow plows, salt spreaders, and replacement parts. Founded in 1985, they design and manufacture snow equipment in the Michigan Upper Peninsula. BOSS products are designed for ease of use, quality, and reliability. Burke Landscape Supply carries a full line of BOSS snow equipment and BOSS replacement parts. Click the BOSS logo to see the full line of products. After you find the BOSS product that you want, stop by one of our two convenient locations in either Clifton Hieghts or Trainer, PA. Or, if you prefer, call our Trainer location at 610-494-9600. Burke Landscape Supply sells BOSS new equipment. Manufactured to high quality standards BOSS snow plows, BOSS salt spreaders are reliable and flexible enough to handle your winter needs. They are manufactured in Michigan where deep snow and winter ice are a way of life. Stop by our showroom to see a selection of the best new BOSS equipment. Burke Landscape Supply has a wide selection of BOSS replacement parts in stock. Our experienced sales staff can help you locate the right part for your BOSS product. Additionally, we have a repair shop on site. Stop by or call us at 610-494-9600.